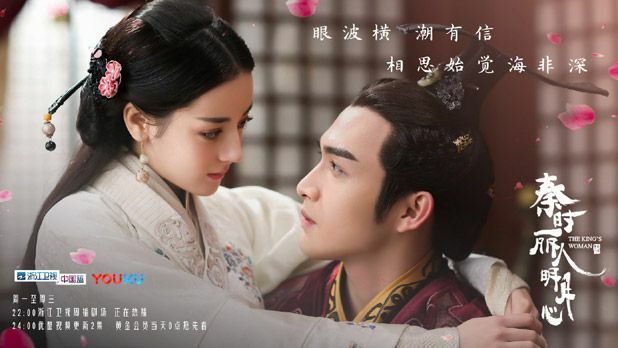 This entry was posted in Discussion Posts and tagged Cdrama, Dilraba Dilmurat, Li Tai (Lee Tae), Liu Chang, Novel Adaptations, The King’s Woman (秦时丽人明月心), Vin Zhang Bin Bin, Zhang Xuan by Kappy. Bookmark the permalink. Preview! Them charging forward holding swords is so comical. Lol. I am so bored with this drama……I am still watching in hope it get better. I think the drama made the mistake of putting them in the palace waaaaaaaay tooo early. Now we are stuck in the palace with the boring palace fights. Should have the king traveled a little bit with Dilraba and her senior brothers in the world to build the friendship and bromance. Then kill those off slowly when he becomes jealous, possessive, and selfish. That way, there are more tension and risks! This is just too easy. Easy = boring. The last several episodes have been very frustrating as the writers have made key characters Gong Sun Li / Lady Li (played by Dilmurat Dilraba), Jing Ke (played by Liu Chang) and Han Shen (Li Tai) do really stupid things. These key characters do stupid things that have a predictable and disastrous outcome, things that even a child would know not to do. The reason I keep watching is because of the King, Ying Zheng (Zhang Vin ) – who is carrying the whole show. Zhang Vin has amazing charisma and magnetism, and thankfully his part was written well. At least the writers haven’t messed up his part. Zhang Vin has a great ability to play angsty or even dark characters like in “The Chronicles of Life” and also a rather charming “devil” in Ten Miles of Peach Blossoms (aka Eternal Love). I’m watching for Zhang Vin, and it is worth every minute. Am I the only one who’s actually enjoying this? Maybe it’s cuz I love (and am more familiar) with the “history” of the universe the author built with Tian Ming in Qin’s Moon, but this is one of my fav periods and they’re some of my fav people (real and fictional). I might be the only one, but I actually am finding a lot of subtlety in Dilraba’s acting and nuances in her character. I can see why she made the decisions she did. People can say what they want about noble idiocy, and it’s totally and absolutely reasonable cuz I sometimes feel frustrated about it too. BUT at the same time, given the time period, and the unrest they’re going through, I can also understand Gongsun Li’s motives. *SPOILER* Given her lover’s poison, she had no choice but to go to Qin for the antidote. Given the show of Qin Emperor’s power and abilities to find (and hurt) them, it’s believable that she would comply in their agreement and return. 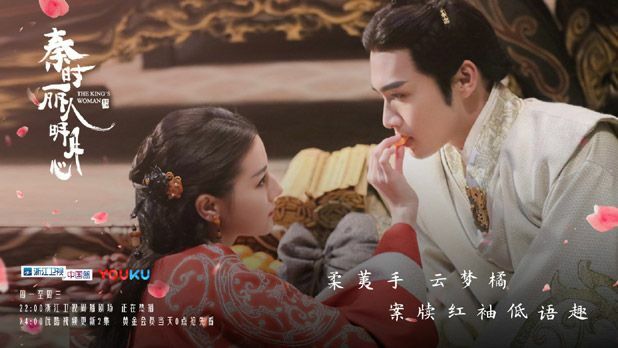 Given her lover’s truly reckless and very irrational behaviors regarding all matters of Gongsun Li, it’s understandable why she would want to “shield” him from the truth time and time again. I can just see him acting without thinking and just getting himself killed. It’s also easy for us to laugh at the cliche and play off her excuses of “for the country” and “for his destiny”, but it’s also not as trivial when we think about it from their pts of view. Her grandfather (his teacher) died in fighting the Qin. Qin’s armies truly were ruthless in their systematic overtaking. The grandfather not only died a patriot, but also passed down his most powerful secret kungfu to “the lover”. If that doesn’t hold implicit responsibility, I don’t know what does. Given the turbulent times, their patriotism, it’s completely reasonable to hold excuses like “the greater good” at a very high regard, because they’ve personally experienced and seen the extent to which that ardor can be upheld. They’re connected to the issue. I personally think the logic and creation behind the characters and their motives are sound (maybe less with oldest senior brother cuz so far he’s just been a lovesick stoic man). Perhaps the reason why a lot of people are bored and not seeing what I’m seeing because the actors/actresses aren’t carrying through well enough and not expressing the level of emotion to make us believe these logical motives and reasonings. While I feel like I can see Dilraba’s nuances in emoting and I can feel/believe her character, I understand a lot of people don’t. Also Liu Chang is really not carrying through the weight of a character like Jing Ke. Throughout Qin’s Moon and even in history, I really really LOVE Jing Ke. But I feel like LC doesn’t have the gravitas and skill to give Jing Ke weight and life. I can feel Gongsun Li’s patriotism more than I can Jing Ke’s most of the time, and that bothers me. I can never see his inner struggles and can never feel the self-driven weight of responsibility to the people and his cause. I just love these 2 leads ever since Pretty Lui Hui Shen. Sadly, i just fast forward everything until i see them on screen and watch. I’m not Chinese and don’t know Mandarin but I watched all the clips of these two being lovebirds on youtube without subs. Please more ardent Chinese drama fans so these clips along with behind the scenes can be subbed. I have watched until ep. 24. I like it. I love it. As what i know from history, Ying Zheng is a cruel king but Vin Zhang just perfectly carry the role becomes a charming king. Did everything with every reason behind it for future. That’s what a real man looks like. Lovely. Glad Gongsun Li has started to like Ying Zheng. Jing Ke doesn’t worth keeping at all. Other than, he has tried to save Li er life with his blind and incapable anger. Worse still when he thinks Li er is having Ying Zheng child already. Means, this man doesn’t even understand his lover’s mind. But in opposite, Ying Zheng not only can read Li er’s mind , Ying Zheng respects Li er and patiently waiting for her for a year plus as a king. Would be very curious for the ending. Very very.